Baum-Kuchen: 03:24:12  - why is Japanese sweet so good? We are especially loving the "Sakura mochi" (cherry blossom mochi). 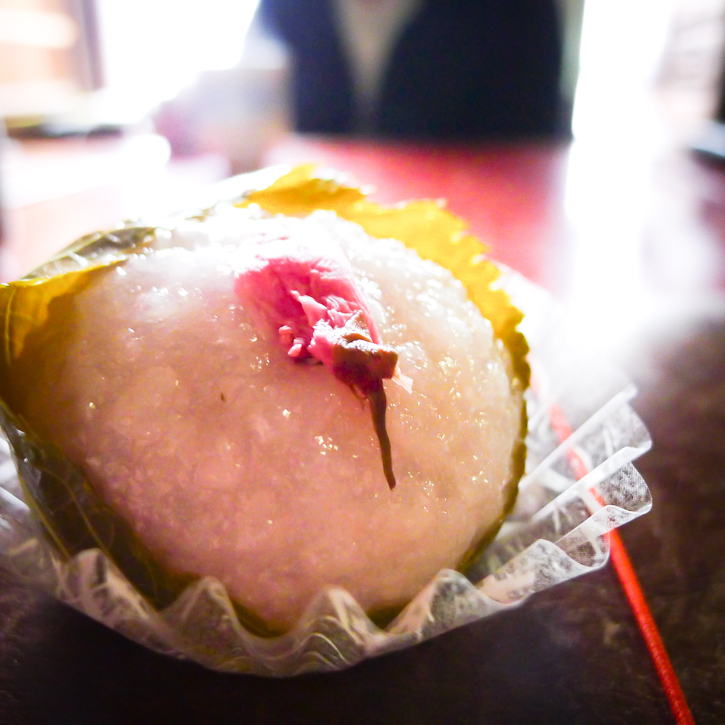 This special mochi is only available in spring... and it's just perfect with red beans inside wrapped in a cherry leaf. So good... and addictive. We found a traditional sweet maker around the corner from our Machiya... and I am there nearly everyday.